Help in this epic tale of survival and maternity Sachi in finding her lost child. In the dark fantasy world of the game, in the grotesque creatures on the loose and harsh social rules determine the life, players take on the role of Sachi, a young mother who goes on a journey to discover the fate of her child. With elements of modern survival classics Smoke and Sacrifice evolves the genre and built a deeply personal story and a complex ecosystem. Age living ways, mate and reproduce, they chase each other - the result is a living world. Only by taming this wilderness Sachi can manage to unravel the mystery inside of Smoke and Sacrifice. The beautiful, hand-painted environments Smoke and Sacrifice are in stark contrast to the brutal history of the game, of motherhood and survival. Sachi must not only worry about the opponent - the entire world threatened. Players can change the behaviour of plants and animals, but this has the disadvantage that such resources needed Sachi to produce articles are limited. The deadly smoke brings more challenges and changed not only the behaviour of the enemies, but also the players themselves. 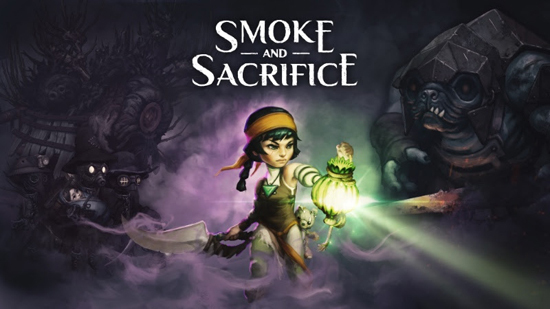 Smoke and Sacrifice e is available from 31 May for PC and Nintendo switch for 24.99 euros. During the first two weeks after launch, there is a discount of 20%. The versions for PlayStation 4 and Xbox One follow in the course of the year.